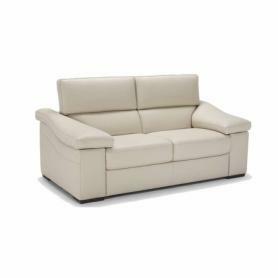 With a ski slope arm design and pull-up headrests from cool contemporary looking to high-back comfort the Oberland certainly has a cosmopolitan style and is among the most stylish sofas in the world. The design is Iconic Natuzzi style and is now available in the Natuzzi Editions range as the Ignazio. Often selected in white or light grey colours but can also be transformed by using darker or more solid colours. Ignazio is now available in a choice of fabrics and a visit to our store and Natuzzi Editions gallery is highly recommended. Click the PDF icon on the right to download the datasheet for the Natuzzi Editions Ignazio. 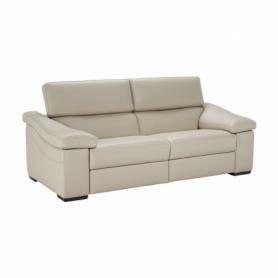 Sofas from the Ignazio range can ordered and tailored to your specific requirements. Available in a range of sizes, leathers and fabrics.